Our work deliberately has a strong educational slant and we consider that authenticity is of the highest importance. We prefer to work from found material where possible and are extremely cautious regarding the interpretation of styles depicted in manuscript sources. The Society has a very large quantity of what might loosely be referred to as “props”. Constructed to the highest standards – and from the correct materials – they include large-scale tents, cooking equipment, pole lathes, wall and braid looms, coin-striking equipment, smithying and a wide range of other museum-quality artifacts too numerous to mention. Where circumstances allow, we can build kilns, charcoal clamps and smelters actually on site. 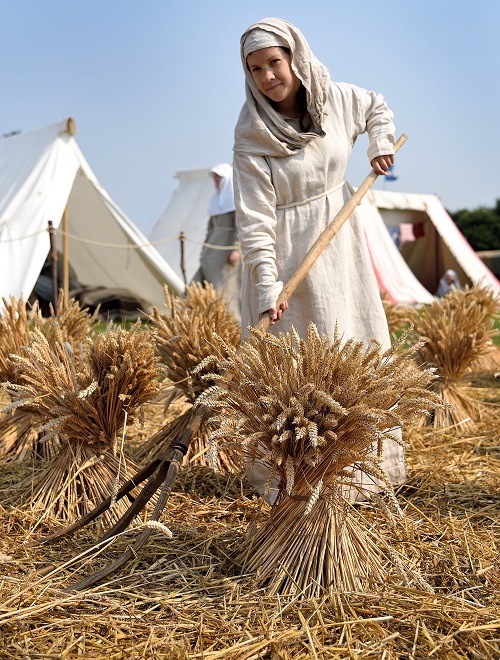 These activities – supported by a kaleidoscope of simple features of everyday life – form a Living History Encampment based upon a number of tented structures from which the members can teach and demonstrate their craft activities. The Encampment is a living, working environment and not a static display of things that have been made elsewhere and are brought to site with a view to selling to the public. In fact, very little of our produce is offered for sale in this way. However, we have found that coin striking is very popular with our visitors and offer the facility for them to strike their own coins for a small sum. 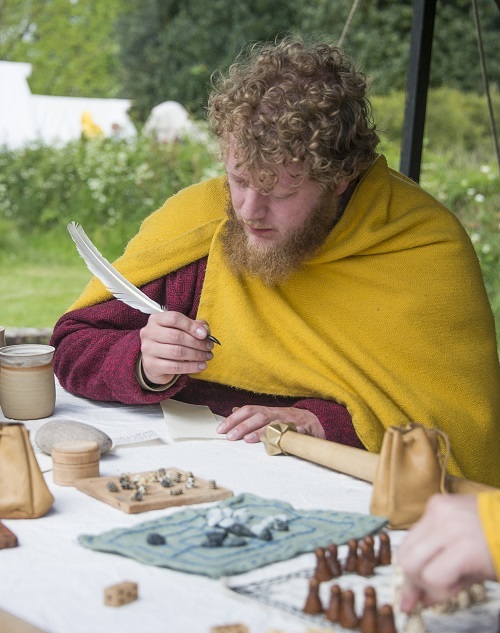 The Vikings, Saxons and Normans are known for the military conquests and heroic tales of fighting, let me show you how we can bring those to life in the modern age. Continue to be taken back in time to the time of men clad in ringshirts wielding fearsome axes and swords.